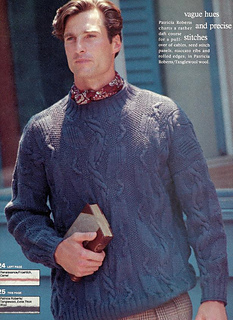 This Patricia Roberts sweater has been designed for both men and women. 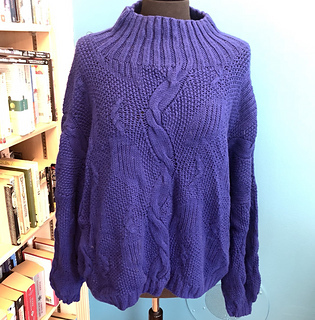 This is an oversize textural stitch pullover with drop shoulders and standing crewneck with ridged edges. The body pattern features a combination of seed (moss) stitch and travelling cables.